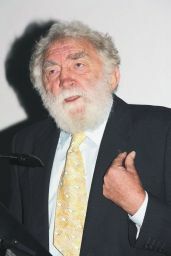 World famous botanist Professor David Bellamy has helped Tarmac secure a green future for Barrasford Quarry. The environmental campaigner Professor David Bellamy helped Tarmac launch its Northumberland Biodiversity Action Plan (BAP) last week. Barrasford Quarry is in one of seven of Tarmac's sites within Northumberland have gained BAP status. "Tarmac is committed to protecting and enhancing the value of its quarries for wildlife, not only whilst they are active but also on restoration." Tarmac's Northumberland Quarries BAP relates to quarries with planning permission for mineral extraction within the county of Northumberland. This comprises seven quarry sites. The majority are hard rock quarries (whinstone and redstone) with three for sand and gravel quarries. The seven Tarmac quarries are located at: Barrasford, Belford, Broadoak, Howick, Harden, Lanton and Woodbridge. "Back in 2005, Tarmac formalised their commitment to biodiversity by preparing BAPs for many of their UK sites. "I'm proud that Northumberland was one of the first counties to be completed (in 2006) and the process revealed that active and restored quarries support a wealth of wildlife such as fulmars, red squirrels and skylark." 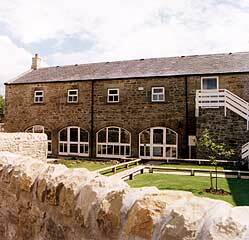 Ecologists surveyed over 350 hectares of Tarmac's mineral sites in Northumberland in 2005. A number of species of national conservation concern, such as red squirrel, linnet, skylark and bats are to be found within Tarmac sites like Barrasford Quarry.